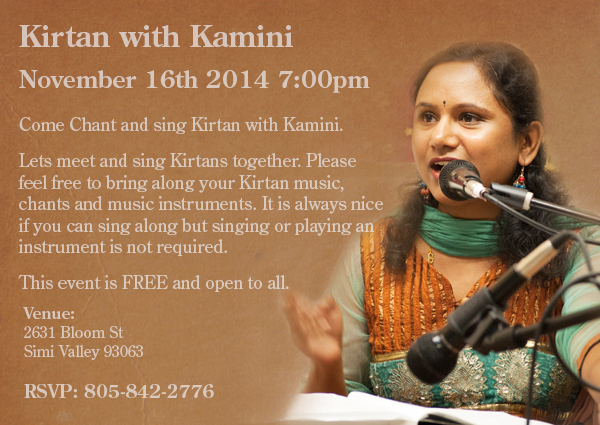 Chant and sing Kirtan with Kamini. Singing traditional Sanskrit mantras has a profound effect on the environment and consciousness, helping to quiet the mind and open the heart. No experience is necessary. Please feel free to bring along your Kirtan music, chants and music instruments. It is always nice if you can sing along but singing or playing an instrument is not required. For those of you who wish to sing and lead a chant, please post your chant in the comment section at least a week in advance.